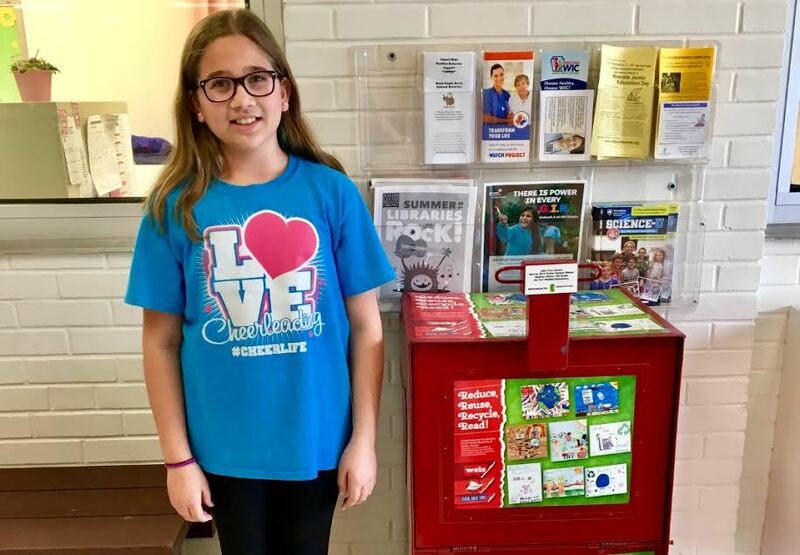 Port Matilda Elementary School was the recipient of a Little Free Library, because fifth-grade student Madison Stimer was a winner of the Centre County Recycling and Refuse Authority poster contest. You can find her artwork in the November month of the calendar. The school was also the recipient of a bench last year when a student was a winner of the same poster contest. The Little Free Library is made from an old Centre Daily Times news rack and will be in the lobby of the school until the last day of classes. After that it will be placed outside where people can donate and trade books. Students from Mountaintop Area and Wingate elementary schools also had artwork selected to be in the calendar.